Here’s an alarming fact: less than 20 percent of people who sign up and pay for a long term gym membership are actively and religiously still working out after the first two months. And even if you are still going to the gym, how do you know you are doing the right movements to work the appropriate muscle groups? Here’s a different fact: over 93 percent of the people who come to our Crossfit facility for at least two weeks, end up as Crossfitters in one way or another. Why? 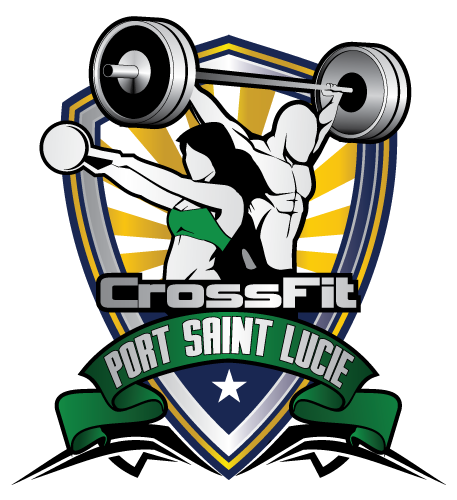 Forgetting for a moment that we are the original Crossfit facility in the Treasure Coast and boast the most experienced trainers, the secret lies in the fact that Crossfit is all about group sessions. With BootCamp as well as our Crossfit sessions, you are doing the same sets of exercises during your one hour session as everyone else. Your times to complete the exercises will differ, and the weights will be different based on your physique and current physical condition, but the power of group dynamics kicks in and everyone helps the others finish their workout. Group sessions provide the motivation to do much more that you would if you simply went to a crossfit gym by yourself. Broad and general means that we lift weights, run, row, jump, and many other things. You may end up dragging a fire hose filled with sand, flipping truck tires, and a host of other activities in addition to your standard sets of exercises that you may have done before, but never done the way we will teach you to do them. The confidence that comes from this type of activity is undeniable. And, did we mention the camaraderie, the friendships, and the fun you will have working out with others? Come see what you’ve been missing by scheduling a free appointment today. Everyone wants to become more physically fit, gain strength and confidence, and lose those extra pounds that seem very easy to put on as we get older. As Nike says, “Just Do It!”, and call us today.